My mom is the reason I fell in love with cooking at a young age. She's a wiz in the kitchen, and has an insane ability to create mind-blowing meals from even the saddest looking fridge. And I've seen sad. Give her a single pot (or better yet, a wok), and dinner will be on the table in 20 minutes flat. Every time. It's pure magic. Her trick for whipping up quick and healthy meals is to always stock the basics at home. You know, the cheap stuff that lasts a while. Like rice, beans, carrots, and - oh ya, cabbage. 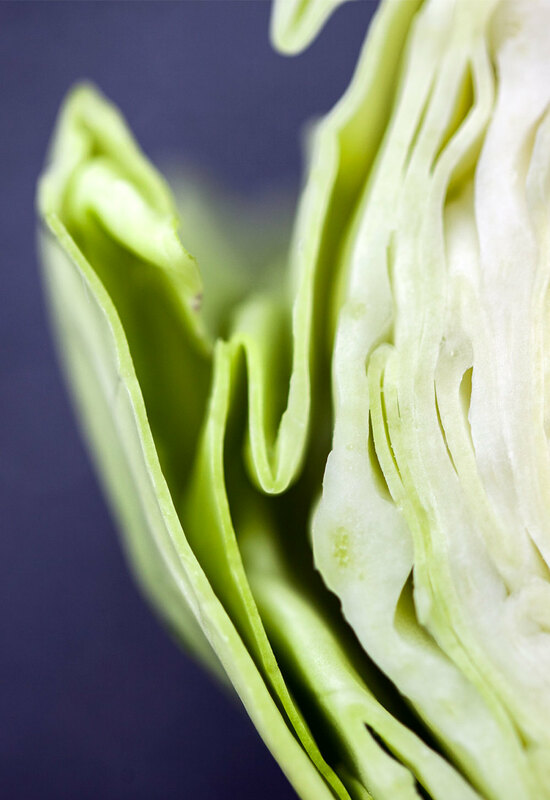 Cabbage isn't the sexiest vegetable (not even close), but it is super cheap and can last in your fridge for ages. While I haven't always followed parental advice to a tee - sticking to my mom's strong position on cabbage during my university days kept my belly full and my (beer) budget happy. My mom and I love to whip up this dish together. We call it "Rainbow Slaw" because you literally feel like you're eating the rainbow (sadly, our passion for cooking and eating has not translated to creativity in the naming department). This recipe is super straightforward to throw together, and best of all requires no cooking. A cook-free dish is perfect when you're having friends / family over for a meal: it allows you to catch up with everyone while you leisurely prep the dish, rather than trying to juggle cooking over a searing hot stove (and attempting to look casual while you do it). The simplicity of this dish is the reason we come back to it time and time again. A handful of humble vegetables and fresh herbs completely transform into a delicious, satisfying bowl of slaw. Now that my penny-pinching university days are behind me, I can afford to throw some more exciting things in with my cabbage. Like bell peppers, good quality olives, and fresh herbs. It sure does get crazy over here! This recipe reflects the vegetables that I usually use in this dish - but you can easily swap ingredients depending on what you have in your fridge. And while you can get creative with most ingredients in this salad, you need to keep the cabbage. You can't have a slaw without cabbage, after all! Besides cabbage's affordability and long "fridge-life", there are a lot of health benefits to this humble cruciferous vegetable. Cabbage is loaded with nutrients including chlorophyll, folic acid, vitamic C, vitamin K. And, it's a source of fiber and low in fat. Red and green cabbage aren't one and the same when it comes to nutritional content. Different colours means different nutrients. Red cabbage is a better source of vitamin A and C, while green cabbage is superior when it comes to folic acid, chlorophyll and vitamin K. And they're not to be underestimated: a cup of green cabbage provides you with ~60% of your recommended daily intake of vitamin K, while the equivalent amount of red provides ~85% of your daily vitamin C. This recipe calls for both, to capture the health benefits of each! A light, lemony vinaigrette is what brings this whole slaw together. To be honest, I was a bit worried to call this recipe a "slaw" - because it's nothing like the mayo-laden coleslaws that you may have imagined when you first clicked this post. Perhaps you thought of the coleslaw that comes in styrofoam containers, buried under greasy fried chicken in a takeout bag. Or, the bowl of sad, limp coleslaw that always gets relegated to the far corner on the picnic table. This slaw is different. It's fresh, herbaceous, and more like a salad if anything. In case you couldn't already tell from the pictures, I'm obsessed with this dressing. I love making a double batch and using it throughout the week. It's super versatile and can be used on all your salads. If I had a restaurant, this would be my house dressing. It's that good. Since this recipe is made up of pretty sturdy vegetables, you can keep any extras overnight for lunch the next day. Because there's a generous portion of fresh herbs, I'd avoid keeping this salad for much longer - and if possible to add the herbs just before eating, even better! I'm sure this slaw would take well to other add-ins, so feel free to build on this recipe and let me know how it goes! Combine ingredients for dressing. Whisk together to combine. Set aside. Chop the vegetables for the salad: cabbage should be thinly chopped or shredded, bell peppers sliced into thin strips, baby tomatoes chopped into halves / quarters, carrots julienned into thin pieces or grated, and olives roughly chopped. Combine vegetables and herbs into a large bowl. Add dressing and toss to combine. Top with extra cilantro for garnish, if desired. *Use high-quality olives for this recipe. Buying whole olives is worth the taste upgrade, and pitting them yourself isn't as daunting as it seems! Simply place the olive on the cutting board and press down on it with the flat side of your knife. The olive will break open, making it easy to pull out the pit. That said, if you're in a pinch, go with pitted...it'll still be tasty.